A police officer holding a breath test machine with his police car in the background. *the officer was blurred on purpose. Many should know of the laws in place that ban driving under the influence (DUI). 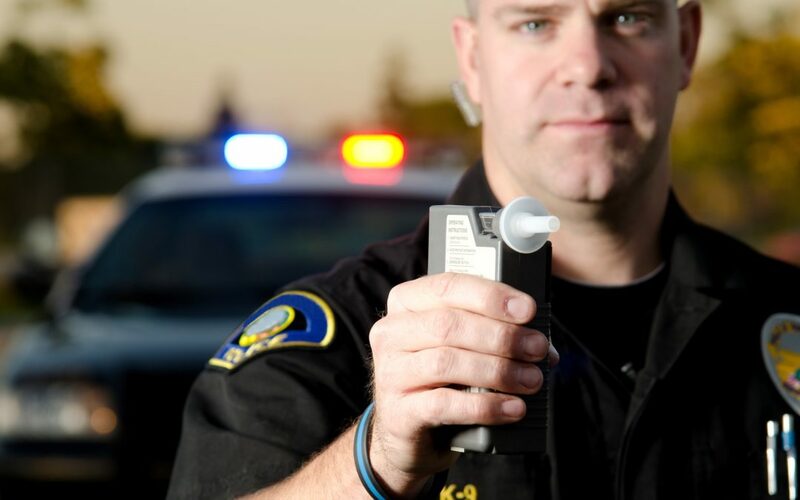 A DUI can be applicable for both alcoholic beverages and the use of drugs. However, another law that does not have the same level of public attention, is one that targets the act of drinking while operating a motor vehicle. In California, according to Vehicle Code 23221 VC neither the driver nor the passenger of a car can imbibe an alcoholic drink when the car is being operated on the highway. The elements that must be proven by the prosecution differ in this drinking while driving law from a DUI. The prosecution must prove that the driver or passenger were drinking an alcoholic beverage while in a vehicle that was being driven on a highway. For the purpose of this law, a highway refers to any public road that is maintained and open for all of the public. One of the major reasons this infraction occurs is because many people do not know that even a passenger can be arrested for drinking alcohol. Even if the driver of the vehicle is not consuming any of the alcoholic beverage and is driving on the highway in a responsible manner, the passenger still cannot consume any of the said beverage. This law is not as penalizing as a DUI. Therefore, if it is proven that the accused did in fact act in the ways mentioned above, they face an infraction. For those who are 21 years old and over (the legal limit to drink alcohol), they will have to pay a fine of $250 to $1000, factoring in other costs. However, it is important to note that you can legally operate a motor vehicle but be under 21 (below the legal limit to drink). As such, those under 21 who are caught drinking in the vehicle will not face an infraction, but rather a misdemeanor conviction. They can also face the same penalties as a DUI. Generally, penalties will include up to six months in jail, payment of a fine, and possible suspension of their driver’s license.